Small Plastic Songs is the first 7" release from Record Collective Ltd a new indie label dedicated to boutique short run releases. Side A features Wind Shear by Skullsquadron and How The Land Became Plastic by Ya Aha. 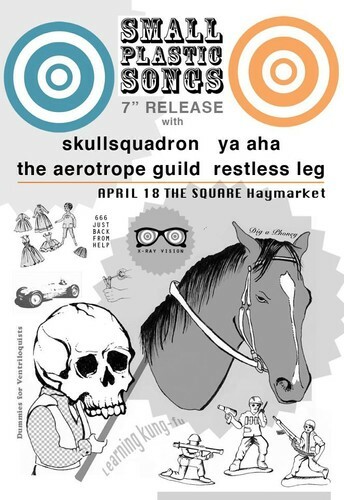 Side B features Time Speeds by the Aerotrope Guild and Two Sides by Restless Leg. Entry to the launch and a copy of the 7" EP is $10. That's $10 entry, and ep is free when you walk in.